Today I am going to share with you all my updated night time skin care routine. I don't wear makeup very often and I typically only wear it on the weekends. If I am wearing makeup once I am going to start on my night time routine I will use either one or both of these following products. If I am wearing a lot of mascara, eyeliner, or just a lot of eye makeup I grab a cotton round and wet it with some Micellar Cleansing Water. This one is from the brand Garnier. I like to place the cotton round onto my eye and just let the water soak up all my eye makeup and kind of soften it all up. This water is great because it doesn't burn my eyes at all while Im trying to get all of the mascara off. I like to use this mainly for just my eyes to make removing my makeup a little bit easier. To get the rest of my face makeup off I like to use makeup remover wipes. 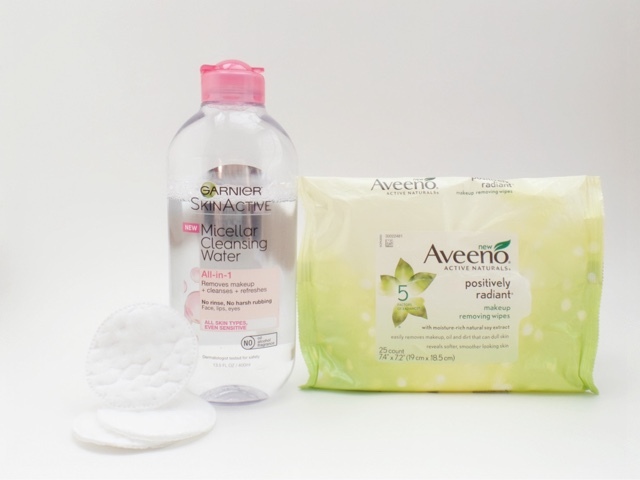 I have recently been using the Aveeno Positively Radiant wipes. I do still love the Simple wipes I shared on my last skin care routine these are just the newest ones I purchased and I wanted to give a try. These wipes are gentle enough for me to use on my sensitive skin and it smells amazing. It does a really good job at removing most of my makeup off including my Esteé Lauder Double Wear foundation. Every single night I use my Clarisonic Mia 2. This is probably the most important step in my skin care routine and I have noticed the biggest change in my skin since I began using it almost a year ago. Once I purchased this I made a whole review on it, if you are interest in reading all about my thoughts along with seeing some before and after photos here is the link to my review. My skin has improved so much since adding this to my routine and it has never broken out like it used to. I love this thing and I'm always raving about it to my friends. Once I am done removing my makeup with the wipes I use this and once I am done I can still see some left over makeup on the brush head. That just goes to show how deep into your pores the Calrisonic goes and cleans your skin. 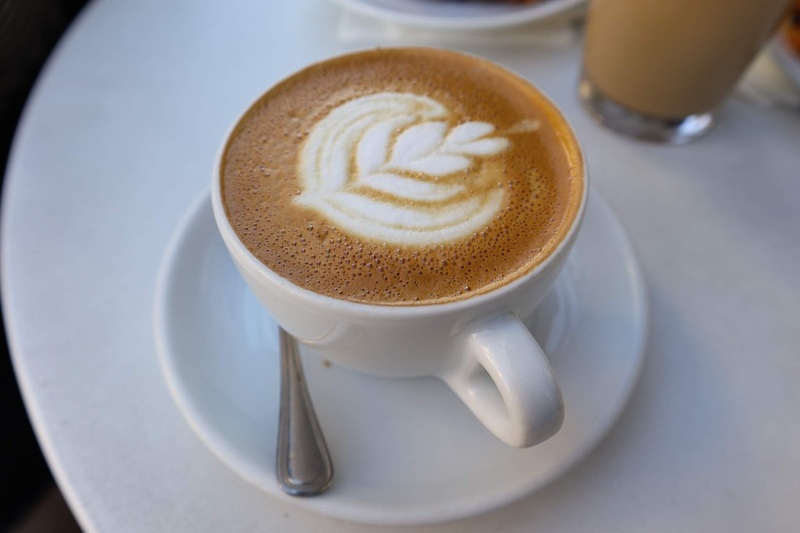 You can use this twice a day, morning and at night but I choose to only use it at night time. For the best results it is suggested to not skip a day from using the Clarisonic and I have been using it every single night. 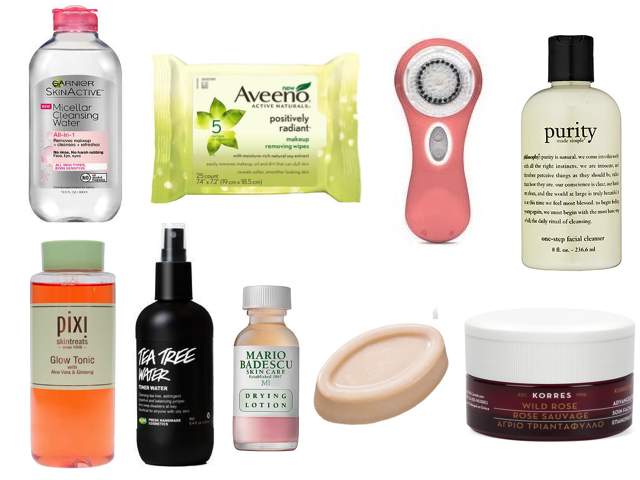 The face wash I use along with the Clarisonic was the refreshing gel cleanser from the Clarisonic brand. I began using that one once I received my Clarisonic because it came with it for free. Once I finished that bottle I repurchased it and I recently ran out of it and I am now back to using my Purity one step facial cleanser. I've always loved Purity but I began adding new products to my routine along with trying out new ones that I eventually dropped it. I decided to go back to this one because I still had this huge bottle and I didn't want it to go to waste and because I recently found out that the Clarisonic products, not the Clarisonic brush itself, face washes ect. are tested on animals. Purity really is a one step cleanser because it does a great job removing all the left over make up from my face. 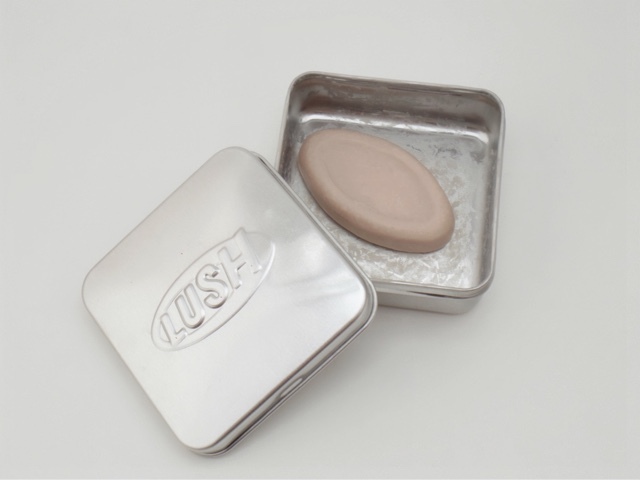 It leaves my face feeling fresh and it also balances the skin. After my face is all cleansed and dry I like to go in with two different toners for night time. The first toner I use is the Pixi by Petra Glow Tonic. I have been using this product for over a year and I love it. This is an exfoliating toner which gets rid of dead skin cells for a more healthier look. This toner also contains 5% of glycolic acid and is supposed to tone, firm, and tighten the skin. When I first began using the glow tonic I noticed my skin looking a lot more brighter and healthy. 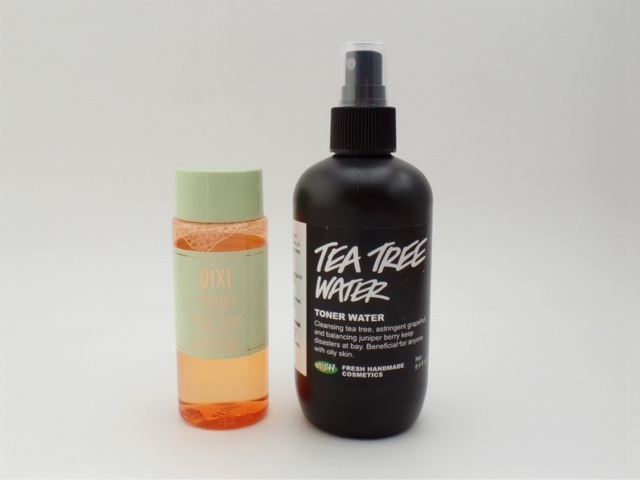 I then like to go in with my Tea Tree Water Toner from Lush that I used in the morning. Once my toners have fully dried I apply eye cream. 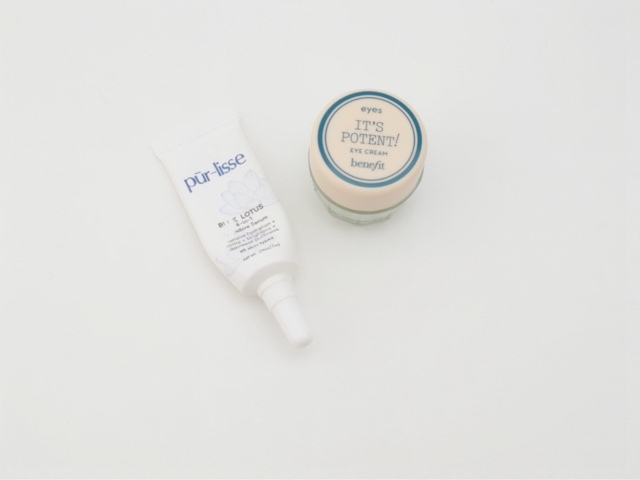 For night time I usually use the Pūr-lisse that I mentioned on my morning routine so I won't get into it all over again. I am still looking for a good night time eye cream so please leave me your favorite eye cream or some recommendations down below so I can check them out. The next thing I use is a serum and the one I have been using and loving is the Full of Grace serum from Lush. This item was also on a monthly favorite in the past. I was looking for a serum for my night time routine and I found exactly that in this bar. It is a very hydrating and I love to really hydrate my skin at night time so my skin and looks and feels its best in the morning. This serum has tons of hydrating butters packed into it yet is absorb very quick into the skin. The people at Lush once told me that this serum is great to apply underneath other products such as masks. They said it helps the product sink into the skin for better results so I figured it would do the same with all my night time products. Full of Grace also claims to give your skin elasticity and a glow. I definitely see the glow part. I love to use this even though I am oily that is why I choose to only use it at night. It does a great job to hydrate my skin and you need that even if you have oily skin. I like to apply some kind of cream that helps with post acne marks, dark spots and brightening the skin. I have been using this Advanced Brightening Sleeping Facial from Korres for a year now and I love it. Ever since I received the small little sample tube from Sephora I have noticed a huge difference in my skin. This thing has helped clear most of my post breakout spots even older ones from before I even owned it. It really has done a great job at getting the job done and I now have close to no spots on my face unless it is a new one. I recently ran out of it and I have been debating whether to repurchase this cream once again or try out another one from a different brand. I don't like to use the same product for too long especially one I use everyday because your skin can become a custom to it therefore the product won't work the same or at all anymore. That is why I always switch off with moisturizers. Next I go in with either one of my night time moisturizers. I specifically only use these ones at night because they are both on the more thicker and more hydrating side and I love to use those kinds at night. I also switch off from day to day with these moisturizers. I love Purity and since I loved it so much I really wanted to try a moisturizer from Philosophy for the night time. I was in the market for a new cream and I had heard good things about this Hope in a Jar moisturizer. 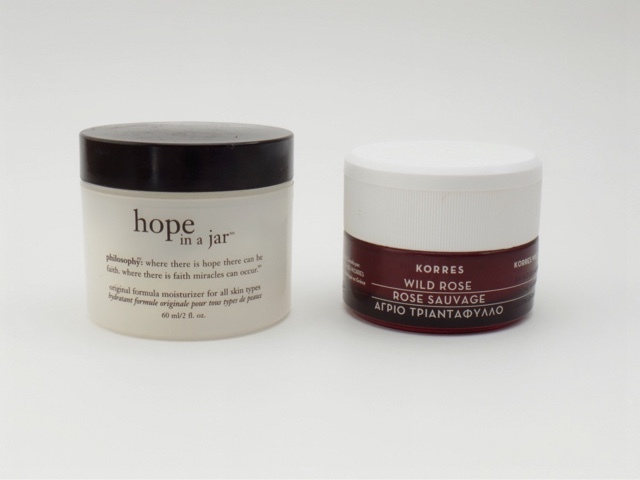 Hope in a Jar is high performance moisturizer that claims to give you a smooth and radiant complexion. It also helps with fine lines, wrinkles, dullness and uneven texture. I enjoy this moisturizer because it looks and feel very think at first but once you begin to rub it into your hands or face it melts and feels like water. I always wake up with my skin looking great the next morning. 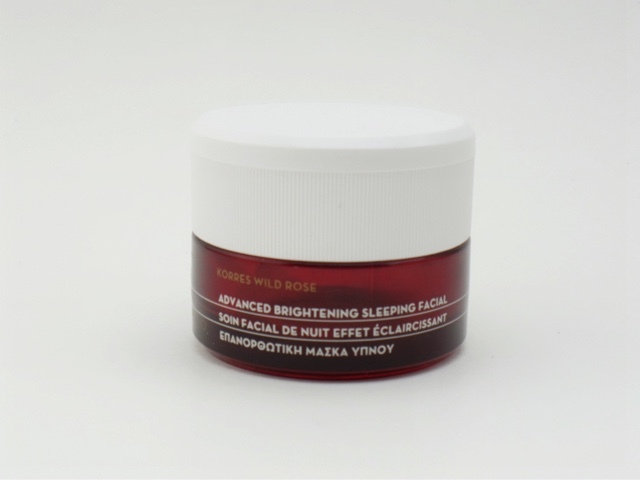 The second moisturizer is another item from Korres and this one is the Wild Rose 24-Hour Moisturizing and Brightening cream. This is another thick cream but absorbs nicely into the skin and moisturizes along with brightening your skin for up to 24 hours. This cream contains wild rose oil and vitamin C which helps with fine lines and discoloration. 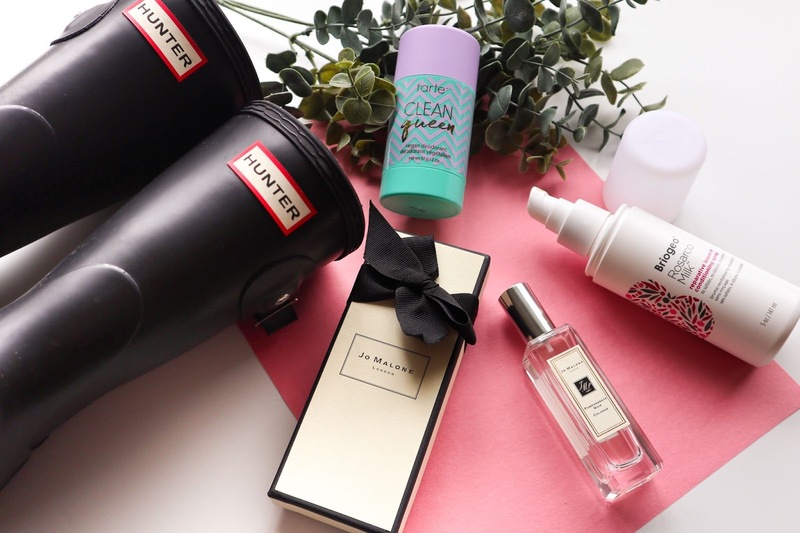 I really like all of the products that I have tried from this brand. Everything from Korres have always left my skin feeling and looking amazing. 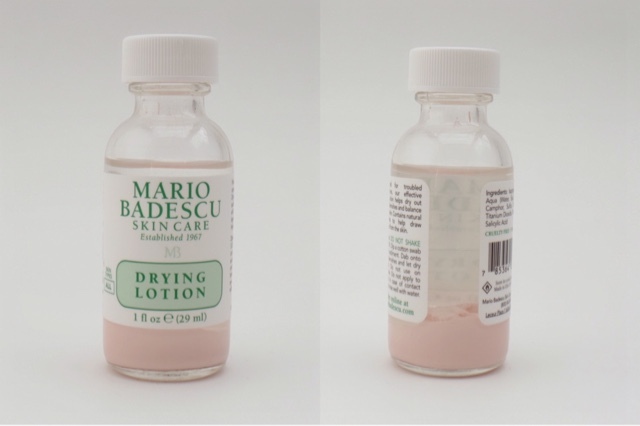 Lastly whenever I have a break out I always use the Mario Badescu Drying Lotion. This is one product that still hasn't changed from my previous skin care routine post and I will never live without it. This thing is magic in the bottle when it comes to getting rid of a pimple. In the bottom of the bottle there is pink powder and then on top is a clear liquid. Do Not Shake the bottle! You want to grab a Q-tip dip it all the way into the end of the bottle where the powder is and lift it up. Then dab it where ever you have a break out and you will see a huge difference in size in the morning. When I use this my pimple is either completely gone or almost completely gone. I recommend this to everyone and I even have Rudy using this every now and then when he needs it. I think I go a little extra for my night time skin care routine but it's definitely worth it in the long run. I like to do a lot more in my routine at night so all the products can really sink into the skin at night while I am asleep. A lot of my night time products are on the pricier side but I truly believe that skin care is an investment because you want to preserve your youth for as long as possible. I hope you guys enjoyed reading my updated skin care routine I know I always enjoy watching these types of videos. I would also love to hear some of your favorite products and brands. 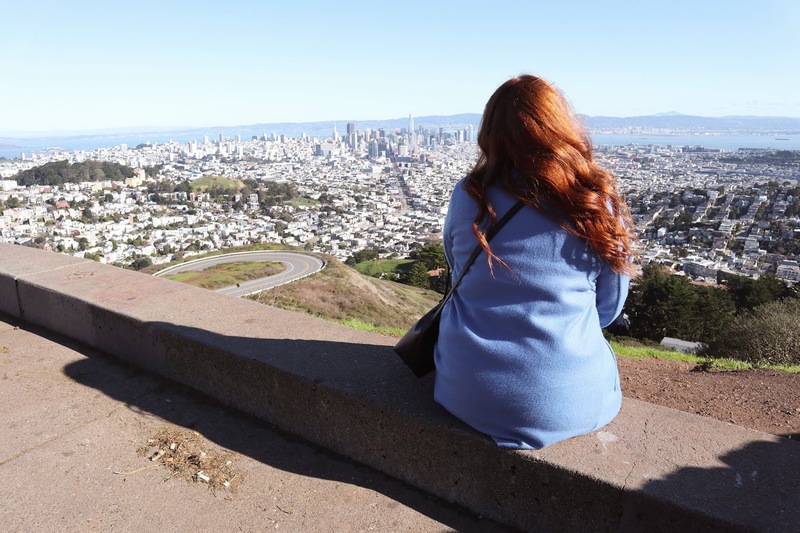 I love to try out new things and maybe I can find something I end up loving more than what I am currently using. I think I need to start using a make up removing solution with a wipe. I use a lot of wipes since I always wear mascara and eyeliner. I've also heard such good things about the Drying Lotion. Sometimes when I'm lazy I will just use the B&BW foaming soap to wash my face then I go in with the Clarisonic. I just you want to make sure you don't have any face makeup left on your face when you use it cause it can cause break outs. You have to try the drying lotion for sure! It works so well every single time.